Well I'm back in Richmond from a whirlwind 5 days in Charleston, South Carolina! 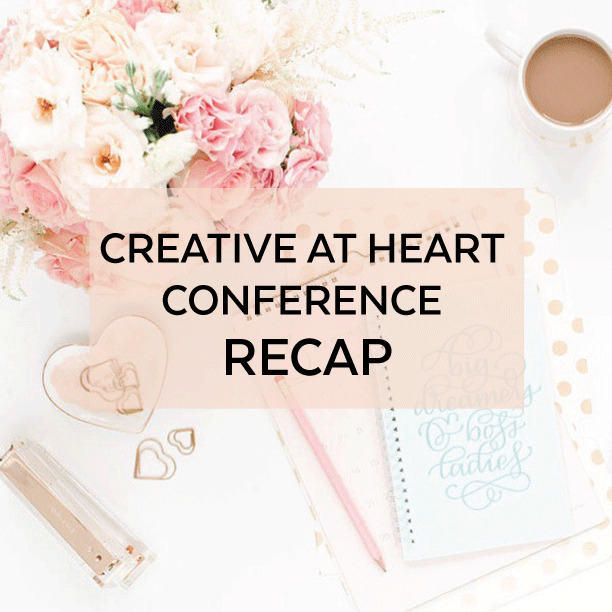 I loved every moment of my time down in the low country attending the Creative at Heart Conference and I have been so eager to share this recap post with you! But let's back up a little bit shall we? I was first introduced to CAH on Instagram a little over a year ago and it looked like just the thing my little brand new business needed. I immediately registered and attended their very first conference last January in Staunton, Virginia. You can read my recap of that one here. There are not enough words to describe what Creative does for me personally and my business. I was honored to be able to do some florals for their round 2 conference in Roanoke, Virginia and it's safe to say Creative at Heart will always have a special place in my heart and the #1 thing I think of when thinking of what contributes to continuously growing my business. So when round 3 popped up and it was in Charleston with a few new and exciting speakers, I of course wanted in! Annmarie Swift flew into Richmond early on Friday and after breakfast at Cracker Barrel (her first time!) we were off to Charleston! Wheee! Friday night was spent at dinner with the Creative at Heart staff and volunteers and then ice cream at Jeni's...uhhmazing y'all. A must go when you're there. I also dropped my iPhone in the toilet Friday night...not my finest moment so I was without a phone there for a little while. SO annoying, but also quite freeing. Sometimes I wish my business didn't rely so much on access to my phone...but that's a topic for a whole other blog post. Thank goodness for rooming with Annmarie on Friday at a Hampton Inn to keep me entertained. Side note- Everytime I'm with Annmarie, I about pee my pants from laughter, the girl is hilarious and I'm so thankful for her. Saturday morning was spent doing a little exploring and getting a new phone. Also, the Apple Store on King St had the friendliest and most helpful associates who had me in and out with a new phone in hand in less than 30 minutes. A seriously wonderful experience! I then met up with the CAH girls for a yummy lunch on the water and proceeded to have the best pulled pork sandwich of my life! Gosh the South knows how to do food! We also did some exploring in downtown Charleston for the afternoon. I have been to Charleston before, but really got to take in the beauty of this little city. The simple architecture, the pastel buildings, and again THE FOOD. I checked into my room at the Francis Marion Hotel later in the day, which by the way has a Starbies in the lobby...genius and quite handy for my time there haha. My roommates arrived about an hour later and then the conference really kicked into high gear. I always love rooming with people I don't know during a conference. A huge part of attending is to meet new people to network with and being roomies with new girls is such a great way to do that. My roommates included a photographer named Heather, a wedding planner named Stephanie (who comes to Charleston quite often and knew all the best restaurants, so high fives for her!) and Kelsey, another planner from Virginia! I also got to spend quality time with Alyssa from Lovely and Bubbly events from Maryland. We have worked together a couple of times and it was so nice to get to know her a bit more. Love her! Sunday morning we awoke bright and early and after grabbing Starbies, we found our seats for day 1 of the conference. It was such an inspiring day listening to all the speakers including Bonnie, Molly, and Kat. That night we had dinner down the street at a restaurant called Rawbit and if I'm being honest we went here both Saturday and Sunday nights. It's seriously THAT GOOD! I had the best chicken and waffles of my life and delicious cocktails with new friends. One of my trip high lights for sure! After dinner on day 1 was the traditional CAH pajama party which gives you a chance to really talk to everyone and get to know them. Day 2 was spent listening to Annamarie, Krista, Mary, Shay, and Katelyn among others. My favorite was Shay. Shay spoke about finding your niche, why it's important, and how to do so. So eye opening for me and something I'm looking forward to really thinking about for One Sweet Day in May. Monday night was spent taking a hair styling class by the incredible Kate Bryan of The Small Things Blog. Y'all, this was such a exciting night. Annmarie Swift photographed Kate's classes for her and it was a little less nerve-wracking to have her there with me. Alyssa from Parris Chic Boutique also attended the class and afterwards Annmarie and I went out to dinner with Kate and Alyssa! Gahh! Such an inspiring dinner! I have been following Kate for years and here she was sitting right across from me! WHAT. We talked business, blogging, husbands, and life and I didn't want it to end. I loved every second. Don't you love when the people you've followed for years are exactly who you thought they were in person. That's Kate and Alyssa. (and Annmarie of course!) The best night. So here I am back home and totally on a conference high with tangible tools and inspiring words to go with me into 2016. Thank you so much to Kat for bringing to life a conference for all creatives. And to Emily, Ashley, Laura, and Ally who worked tirelessly so everything unfolded seamlessly. Those girls worked their butts off guys. If you are looking to invest in your business with a conference, please look into Creative at Heart! They have announced their 2016 tour and I couldn't be more of an advocate for what they are doing. It is inspiring beyond words to be surrounded by like minded women who can relate to everything you are going through. Being a creative small business owner is hard and lonely. Creative at Heart has given me my tribe and I am forever grateful. Happy Wednesday, friends! I'm catching up on a lot of work today...emails, design proposals, and December events. Later I'm off for a date night with Chris and so so looking forward to an upcoming weekend of no plans, Hooray!